KUALA LUMPUR, Feb 4 — You have seen her basketball dribble artwork of NBA star Yao Ming. Or coffee cup stained portrait of singer-songwriter Jay Chou. Malaysian-born Red Hong Yi is a mixed media artist that gained international fame when she started using unconventional ways to 'paint' portraits. Using everyday objects like melted candles, coffee cups and flower petals, she creates stunning portraits of local and international celebrities. She moved to Shanghai to pursue this interest further yet she is still very Malaysian at heart, and she just recently revealed her latest creation: Teh Tarik Man. 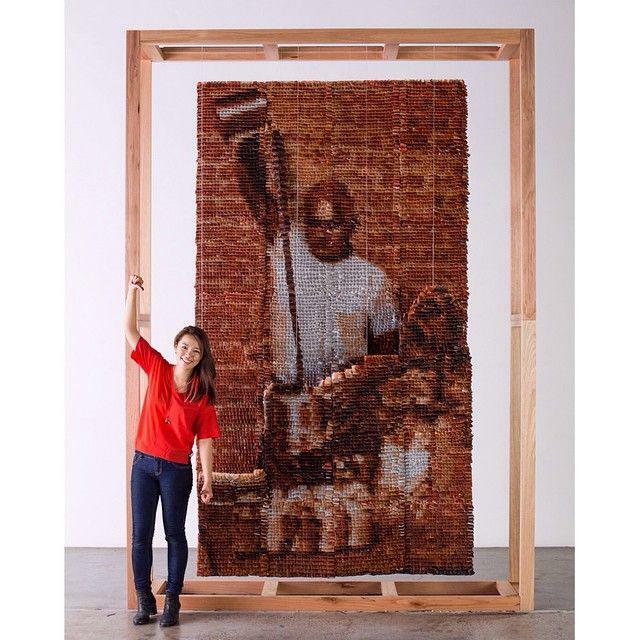 Made out of 20,000 stained teabags, the ubiquitous Teh Tarik Man comes to life with Red Hong Yi's technique of layering and making impressions using teabags. The artist was inspired by local Malaysian culture and the Teh Tarik Man reminds her of home. Red Hong Yi felt that teh tarik is a drink that brings Malaysians together at kopitiams and mamaks to discuss about everything under the sun. She spent two months planning, designing and documenting this piece.